What foods are most addictive and which ones are the hardest to resist? You probably don’t need me to tell you, but here is a list of a few: chips, bread, donuts, pasta, chocolate, cookies, French fries, candy, ice cream, and cheese. 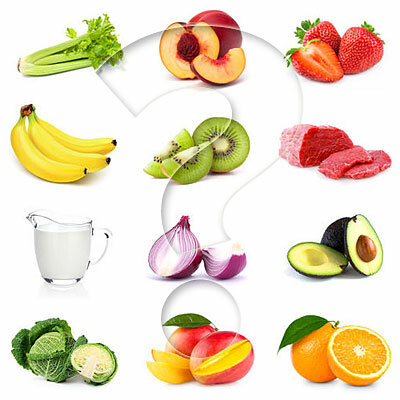 What do these foods have in common? 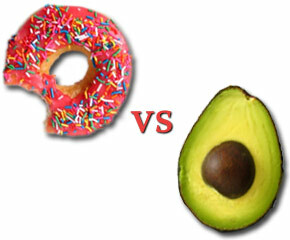 They’re either high in sugar, fat, carbohydrates, or a combination of the three. When is the last time you binged on celery and carrots? Probably never, right? This is because celery and carrots do not trigger the pleasure center in our brain in the same way as foods we consider addictive do. Sugar, fats, and carbohydrates used to be a rare treat found as fruit in high tree branches or after hunting down a buffalo in the wilderness. The pleasure center was triggered as a survival mechanism that told our ancestors to hunt for foods high in energy. The problem today lies within the fact that our bodies have not become developed to process these types of foods—especially since they are so readily available. We do not need to climb trees to spear down fruit or hunt down a cake for three days before we can eat it. However, because our bodies have not adapted to this abundance of food it still signals eating a cake as ‘good’ which is why we crave these types of foods, are unable to stop eating them, and develop addictions to processed junk food. Whenever you consume junk food, the reward center in the brain is triggered and neurotransmitters like dopamine are released.2 When dopamine is released in the brain, it is read as ‘pleasure’ and it encourages you to perform the same actions to elicit the same response. In this case: eat it again. Like all addictions, food addiction can cause harm to the body physically. 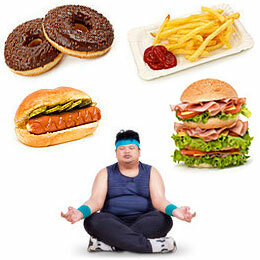 It may lead to diseases such as obesity, type 2 diabetes, heart disease, depression, and cancer. If people continuously do drugs or eat ice cream, dopamine is also continuously released from the reward center. Because of the large amount of dopamine circulating in the body, it causes the dopamine receptors to down-regulate. Down regulation of dopamine receptors occurs when the concentration of dopamine is too high. The brain responds to the high concentration of dopamine by removing dopamine receptors in order to maintain homeostasis. For example, if a room can only hold 25 people and there are five doors, five people can walk through each door single file relatively quickly and the room will become full. Any other people that come will wait for one of the other ones to leave before they can enter the room. However, if you have a giant mob of 100 people, and you remove 3 of the doors, then 50 people will walk through each door single file at a slower rate. The remaining people will wait outside until someone leaves. When the number of dopamine receptors are reduced, you need even more dopamine to feel the same amount of pleasure that you did the first time you consumed the junk food. This phenomenon makes people consume even more junk food in order to feel the same amount of pleasure that they did the first time they consumed the food. If you never thought you had an addiction it may be time to start thinking about what you’re eating and what types of foods you can’t resist. It’s important to limit the amount of addictive, processed foods we allow into our bodies. The less processed food you eat, the less you need to consume in order to feel satisfied. Eventually, you won’t even want to eat processed foods anymore. You’ll be surprised! 1. Blumenthal, D., & Gold, M. (n.d.). Neurobiology of food addiction. Current Opinion in Clinical Nutrition and Metabolic Care,359-365. 2. Rada, P., Avena, N., & Hoebel, B. (n.d.). Daily bingeing on sugar repeatedly releases dopamine in the accumbens shell.Neuroscience,737-744. 3. Avena, N., Rada, P., & Hoebel, B. (n.d.). Evidence For Sugar Addiction: Behavioral And Neurochemical Effects Of Intermittent, Excessive Sugar Intake.Neuroscience & Biobehavioral Reviews,20-39.